Isn’t he a cutie??? Well, I have 8 of these adorable onesies to give away! 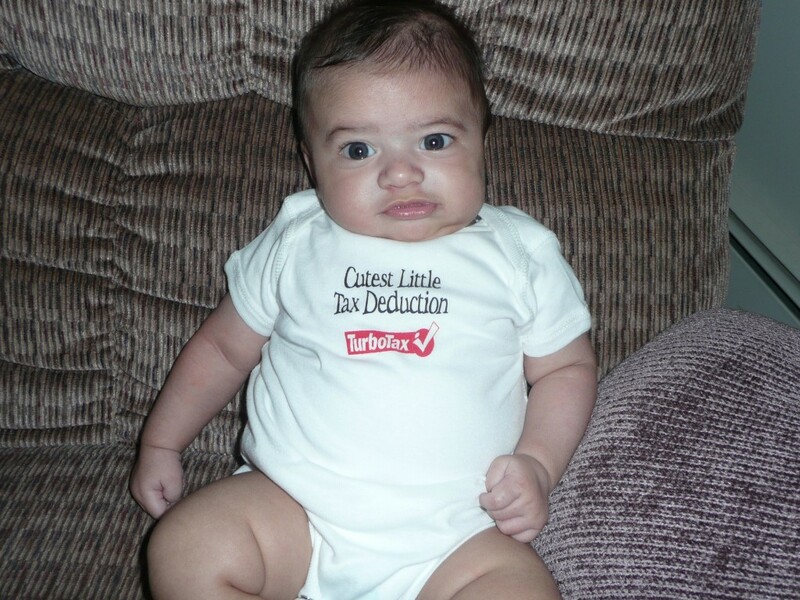 Only a few signed up, so there is a pretty big chance that you will win one of the 8 onesies by TurboTax.? The giveaway ends Saturday, January 31st. How cute! Makes me want one of my own! That’s so cute! Unfortunately, my grandchildren are too big for it. They grow so quickly! LOL! How adorable! how much are you asking for them? I have a friend who is getting ready to have a baby! So cute! I wish I had a little baby to dress up in one–my Kate is almost four *tear* They grow so fast! Sorry that contest was from a while back.